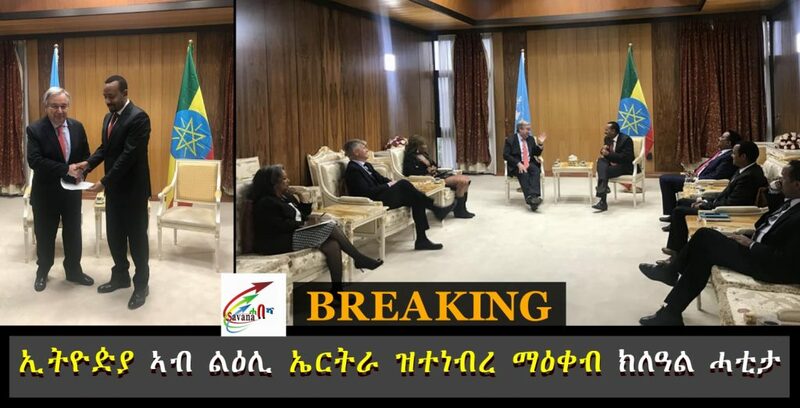 The official request was made by Ethiopia’s Prime Minister Abiy Ahmed to UN Secretary General, António Guterres, who is on a visit in Addis Ababa, according to reports by state media. The UNSC imposed an arms embargo on Eritrea, travel bans on its leaders, and froze assets some officials, accusing the Eritrean government of aiding Al-Shabaab in Somalia. But reports by a monitoring group has found no evidence of Eritrean support for Al-Shabab and recommended that the Security Council ends its current sanctions. Abiy Ahmed, who was on a first historic visit to Eritrea on Sunday and Monday, had promised that Ethiopia would work to lift UN sanctions on Eritrea and end isolation of the Eritrean government by powers that control the international political scene.